I’m pretty sure I’m not the first person you’ve met who’s recommended you try out Pokemon GO. The mobile app game has taken the entire universe by storm, quickly becoming the most downloaded thing ever, surpassing even the internet and stolen cars. However, in light of recent events, I must taper what would have been a 100% glowing review just a few weeks ago. I first turned the game on August 8th, shortly after it first went live in America. The first Pokemon that greeted me was a Squirtle right in my bedroom! Please ignore the heart-covered pink pajamas. After wasting so many Pokeballs on him learning how to catch things, I wanted more Pokemon but my bedroom wasn’t offering any opportunities. The radar was indicating that some rare stuff was nearby, including the silhouettes of Abra and Persian, so I grabbed my jacket and flashlight and marched out into my backyard. I managed to catch the elusive Abra and some minor Pokemon, but I hadn’t tagged that Persian even though the radar kept taunting me with two footsteps out of three (meaning it was decently close). So I marched down the street, through the ravine, scaled the fence to the nearby park and eventually found myself deep in the forest ruins surrounded by Zubats. At 2 am. Kinda felt like that one level in Alan Wake with all the ravens, to be honest. It amazed me how immersive this app was. I’d played every Pokemon game up until the Ruby/Sapphire remakes, and this app perfectly captured the excitement of being a trainer, blazing through the wilderness, snagging critters and replenishing resources so you don’t run out of boost items like Razz Berries before seeing the perfect addition to your team. I’d certainly never expected it’d keep me awake for hours, wandering further and further from my bedroom tagging Pokestops and glancing at gyms wondering when I’d be powerful enough to challenge them. (Spoiler: a really long time.) It’s a perfect app for quick sessions as well; on my ten-minute break at work I could boot it up, snag an uppity Ekans and maybe evolve it for the XP bonus. And it’s been surreal to see how many people are playing other than myself. Visit somewhere with a lot of Pokestops and you will see floods of people at every hour of the day or night. It’s getting kids out to play in nature, it encourages visiting local landmarks, and its genuinely a huge step forward in video gaming as a social activity. When this bad boy appeared in an unsuspecting strip mall plaza I called out “Jolteon!” to my brother in the nearby clothing store. All hell broke loose around me. It’s an experience you should really try if you haven’t already. But it comes with a downside, and that’s the endgame. At the moment, the game is coded so that Pokemon become more difficult to catch as the levels go up. I’m level 14 at the moment and I feel like everything from Rattattas to Pidgies are breaking out of perfect throws for some artificial reason. Remember that Pokemon Go is a free-to-play mobile app, meaning it needs to encourage people to spend money through gameplay, and so they took the logical approach of punishing high-level players who have already invested time and energy (and possibly money) into the app. I see where they’re going, and I’m not against a company making money, but I don’t think blanketly making everything harder to catch is the right idea. This game relies on the excitement of the catch, and worthless trash Pokemon should remain easy to catch both for logical reasons and because it’ll lessen the sting of losing high-level wild Pokemon to bad luck. When I waste 30 Pokeballs and a Razz Berry on a low level Paras, even if I catch it I feel only tired frustration of how senselessly powerful a fight it had put up. 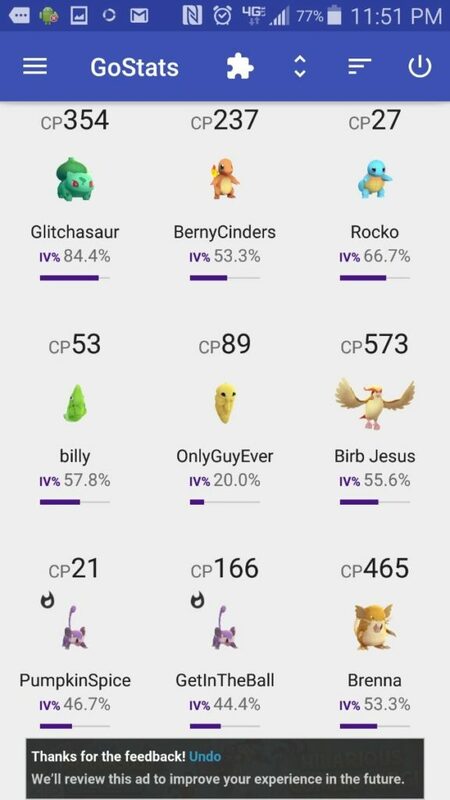 There are a number of apps to show you which of your mons have good stats/movesets, this one even breaks down your trainer’s stats. I’d love to recommend it but recently Niantic has been banning people who use third party apps, which is frustrating because the game on its own is depressingly void of useful data such as this. Furthermore, every new update has only removed features, likely because their servers weren’t ready for the incredible amounts of players they suddenly had to field across the planet. The tracking feature has been completely removed (and it didn’t even work to begin with), meaning at the moment the radar is useless. Also they’ve upped the refresh rate from 1 to 10 seconds, which means that if you’re moving faster than a brisk jog, Pokemon will be less likely to even spawn at all since you move out of each individual spawn spot too quickly. (Update: Someone did the math, this doesn’t affect anyone but car drivers. No complaints here.) The update also removed the benefits to a number of catch manipulators (spinning your ball, ‘perfect’ throws) and while I hope its a bug, it could possibly be yet another attempt to dissuade high-level players. There’s a theory on the subreddit that Niantic is intentionally trying to drum large parts of their audience away so that the servers will be friendlier to whomever sticks around, and while I hope that isn’t true (games like Pokemon Go rely on large playerbases, after all), it’s hard to justify a lot of the changes they’re making to an extremely young app. (Update: a recent update has fixed most of this stuff. Looks like the game’s sorting itself out, and looking better everyday). 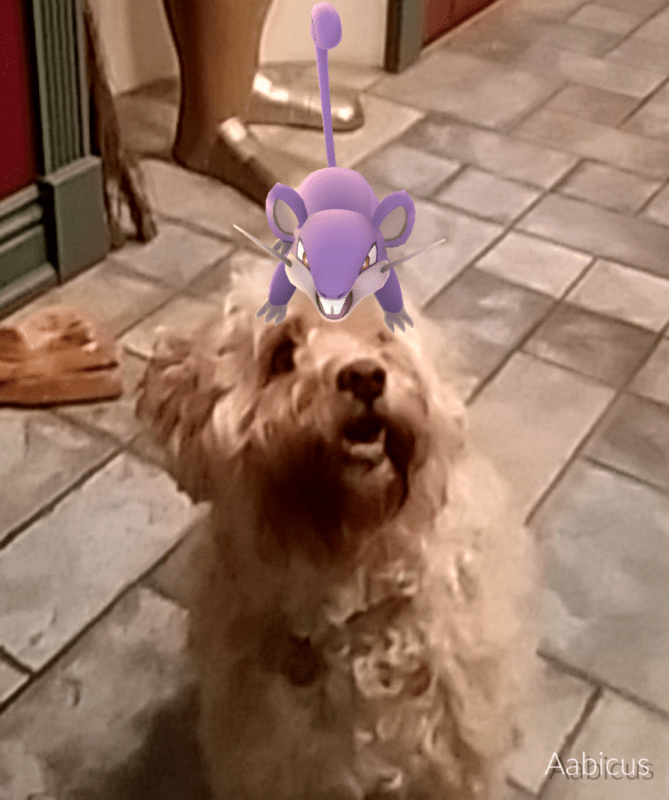 But ultimately, it was all still worth it because of this picture of my dog with a Rattata on his head. However, if you haven’t picked the game up yet, you’ll probably be immune to these complaints for now. Just know that if you really get hooked, it won’t be long before the game artificially removes its own fun in favor of nickel-and-diming you to go buy microtransactions. However, Niantic has acknowledged that its currently too hard to catch Pokemon and also claimed that reducing server strain is their primary motivation in most of the complaints above. So there’s a decent chance that by the time you reach the high levels, they’ll have already fixed the complete drag the game turns into. I certainly hope so, because this app has promise to be the biggest thing gaming has ever seen, and I want to see it reach its full potential. 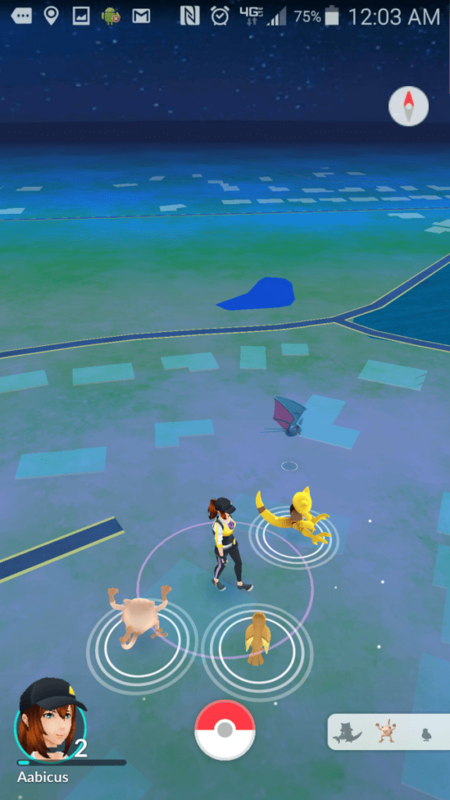 To round this article off, I’d like to also thank Niantic for three particularly incredible design choices: The game uses surprisingly little phone data, it requires very few permissions to install (pretty much just things like the camera that are inherent in the gameplay), and the game has no ads. That last one is huge!